In a recently surfaced interview with Heath Ledger's sister Kate, she recalls their last phone call and mentioned how happy he was working with Christian Bale and Christopher Nolan, noting that he was intent to return as the Joker. 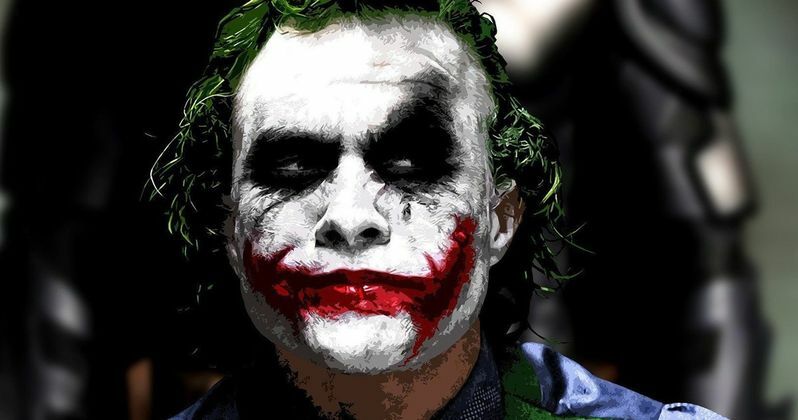 Ledger's performance of the Joker is still praised nearly 10 years after for a role that saw him make the character his own. Ledger's Joker stands apart from anyone that came before or since, so it's intriguing to hear that he planned on coming back to the role. Kate Ledger revealed that Heath Ledger had an amazing time working with Christopher Nolan and Christian Bale, stating that he was proud of what he pulled off for The Dark Knight and that he was going to come back to play the Joker again. She also revealed that the actor couldn't wait to share stories about working on the movie when he came home for Christmas. She had this to say. "He was so proud of what he had done in Batman. And I know he had plans for another Batman. He loved working with Chris Nolan and Christian Bale and Gary Oldman. He just had the best time ever doing that film. When he came home at Christmas he couldn't wait to tell us all about it and he was doing the voice and laughing, showing me all the rushes. We had a great time." It sounds like The Dark Knight Rises would have been a completely different movie had Heath Ledger not tragically passed away while The Dark Knight was in post-production. Ledger really enjoyed getting into the Joker character and it's awesome to see that he was proud of his hard work. The Joker was left dangling from the top of a building by Batman at the end of The Dark Knight, so it's easy to see him surviving after the police retrieved him. However, the script for The Dark Knight Rises had not been written at that point, so it's impossible to tell if Christopher Nolan had intended to bring the character back. Nolan made the wise choice not to recast the Joker, a move that he said he did out of respect for Heath Ledger. The Joker isn't even brought up at all in The Dark Knight Rises and Tom Hardy was brought in to portray Bane as the main villain. Heath Ledger was the perfect Joker to Christian Bale's Batman and it seems as if that took some extra work for the actor. It would have been pretty awesome to see a return of the Joker in the last installment, maybe even paired with Bane. Tom Hardy and Heath Ledger together would've made quite the villainous team on the big screen. Heath Ledger died on January 22nd, 2008 from an accidental overdose of prescription drugs and later won the Academy Award for Best Supporting Actor for his role as the Joker in The Dark Knight. Kate Ledger maintains that her brother was a happy person and that she was joking with him and laughing over the phone on the night before he died. The original interview with Kate Ledger appeared at New.AU.